ICut the walnut plywood shelves (R) and front and back strips (S) to size plus 1" in length. 2 Cut or rout %" rabbets W deep in each strip, where shown on Drawing 8. Next, rout 'A" coves along the front edge, where shown on Drawing 8a. 3 Glue the strips to the front and back of the shelf. Later, crosscut both ends to trim the shelves to finished length. Sand smooth. (We wrapped sandpaper around a 16" piece of dowel to sand the coves). 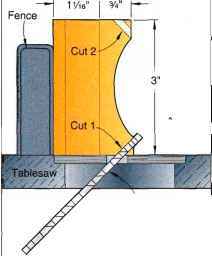 Tilt saw blade 45° from vertical. 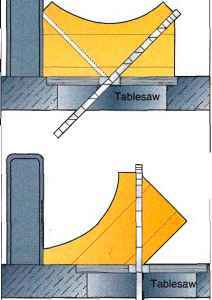 *Plane or resaw to the thicknesses listed in the Materials List. 'Initially cut parts marked with an * oversize. Trim to finished size according to the how-to instructions. 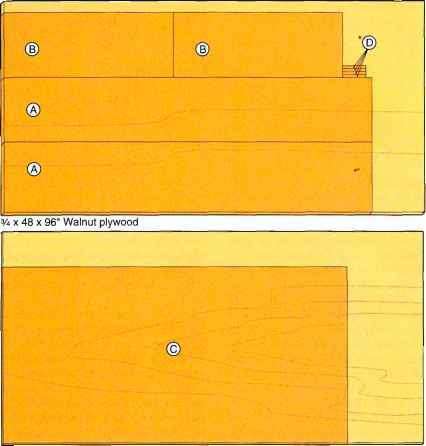 Materials Key: WP-walnut plywood, W-walnut, LW-laminated walnut. 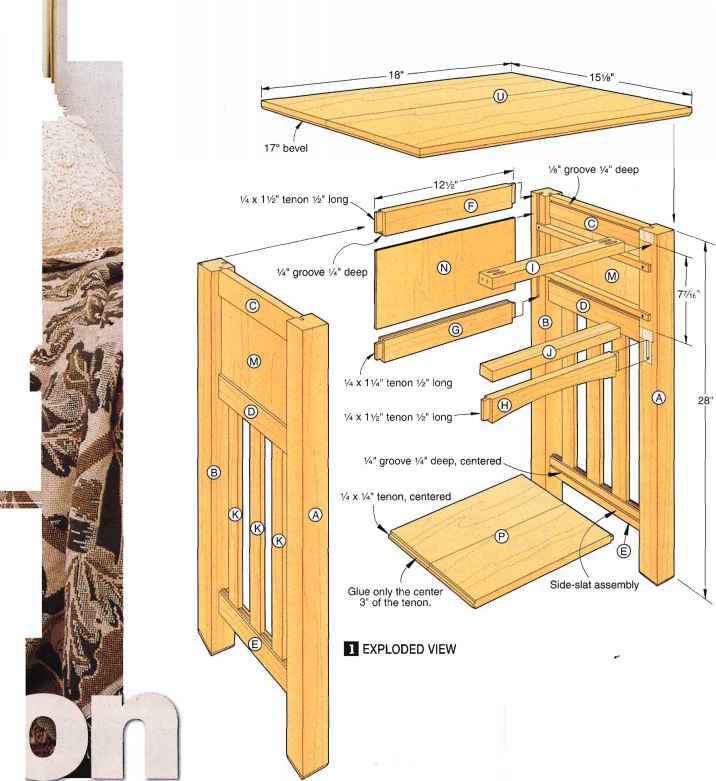 Supplies: %" dowel pins 1 1/2" long, #8x1 vi" flathead wood screws, #8x1 '/2" flathead wood screws, #4 finish nails, 3A"x17 brads, 5/8x72" flush-mounted shelf standards (walnut finish) with mounting brads and supports, finish.